12 Oz. 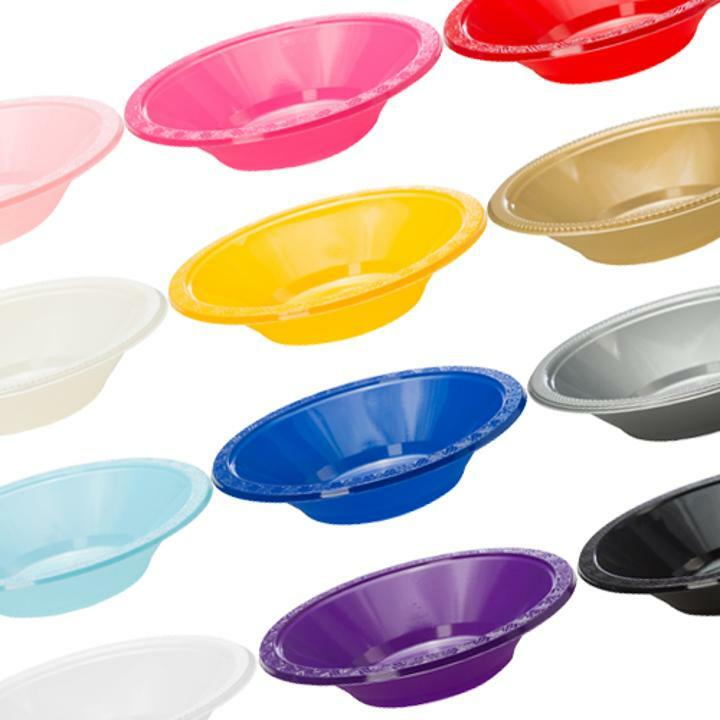 Plastic Bowls - 8 Ct.
Another great addition from the Party Solids collection, these solid colored plastic bowls are constructed of high quality plastic and are great for soups, cereals, broths, and more! Perfect for birthday parties, showers, graduations, or any colorful themed event, these heavy duty soft plastic bowls coordinate with the rest of the Party Solids solid colored party supply products. 12 Oz. White Plastic Bowls - 12 Ct.
12 Oz. Turquoise Plastic Bowls - 12 Ct.
12 Oz. Purple Plastic Bowls - 12 Ct.
12 Oz. Ivory Plastic Bowls - 12 Ct.
12 Oz. Silver Plastic Bowls - 12 Ct.
L: 7.0 in. W: 7.0 in. H: 2.0 in.